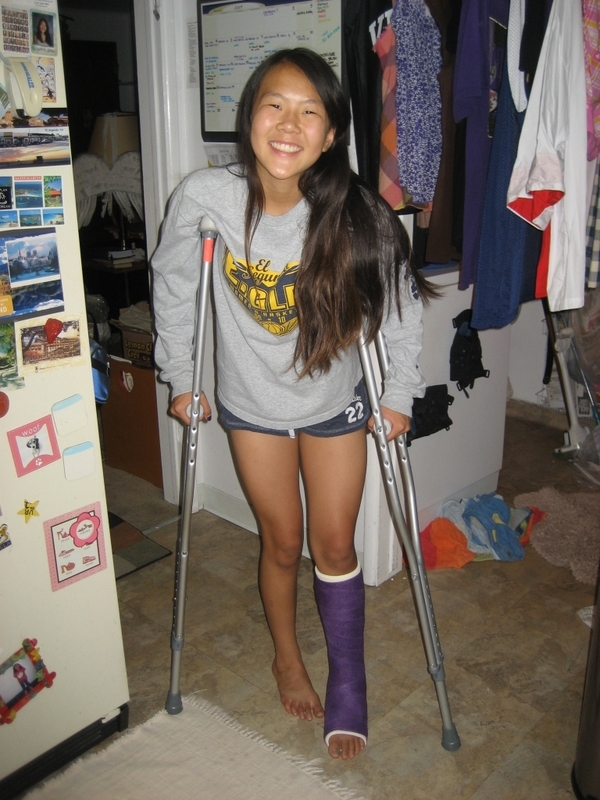 Stephanie suffered a fracture in her fibula during the first game of the San Diego Classic. We first thought it was a bad sprain, but we took her to an urgent care office that night and the x-ray showed a fracture. Stephanie stayed in San Diego for the rest of the tournament, and we went to an orthopedist the following Monday. The ortho confirmed it was a fracture, and Stephanie is now in a cast for the next six weeks.